Paris News: 1. Did they move Roland-Garros at the heart of Paris? 2.Plants on the river Seine? 1. 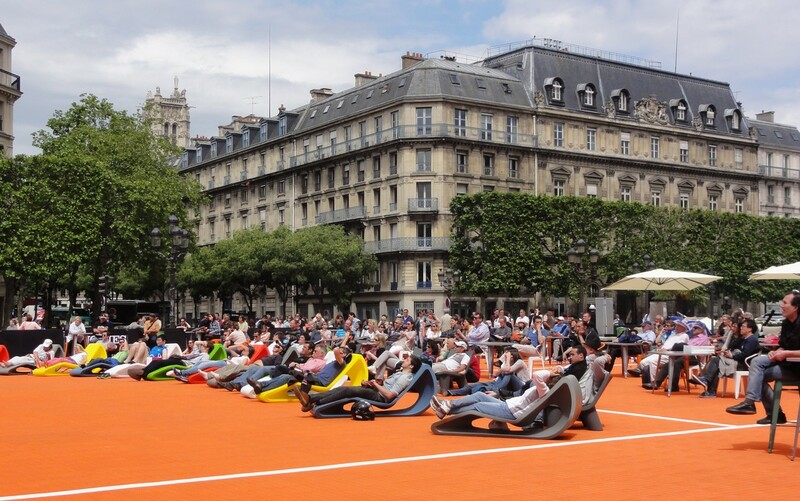 Did they move Roland-Garros at the heart of Paris? The French Open tennis tournament, Roland Garros tournament, started on May, 21st. Roland Garros takes place in the west part of Paris, near the park of the "Bois de Boulogne". Nowadays, it is very hard to get a ticket for a seat (you have to be fast on the online booking). Say that before the 80's, it was easy to get in, you even can buy a seat on the spot the day of the final! Well, fortunately, there is another possibility to see Roland Garros in a nice way. Roland Garros can be watched on the esplanade of the Paris town hall ("Hôtel de Ville"). 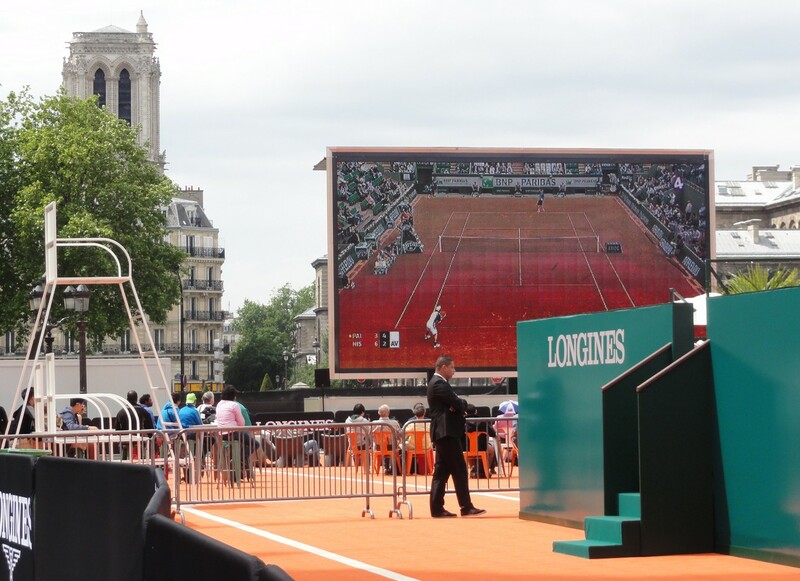 If the sun is present, what a nice manner to see the tournament, in the heart of Paris! "Hôtel de Ville" The event is called "La Terrasse"
2. 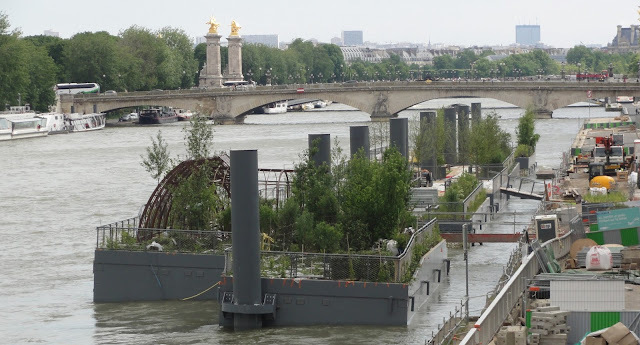 Plants on the river Seine? 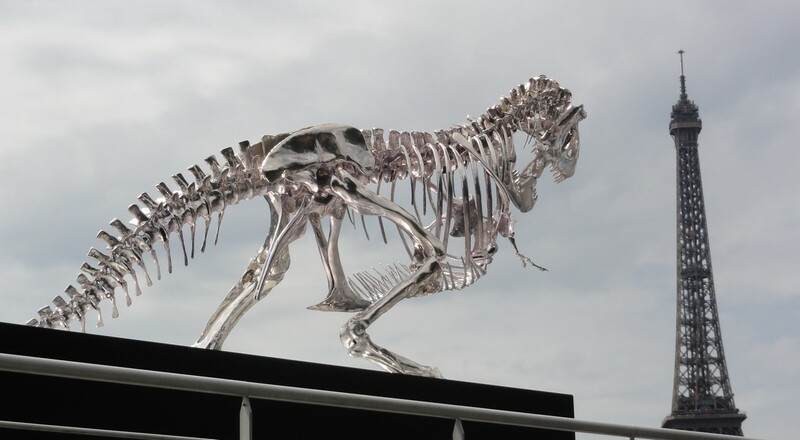 Do you remember the Parisian T-Rex? T-Rex on the right bank, near the "Place de l'Alma"
The Parisian banks of the Seine are changing, for the joy of the Parisians. Less cars, more nature and pedestrians (See the website in French or in English)... Changes... under the look amazed of the "zouave" of the Alma Bridge, just near (see here some information about the "zouave"). 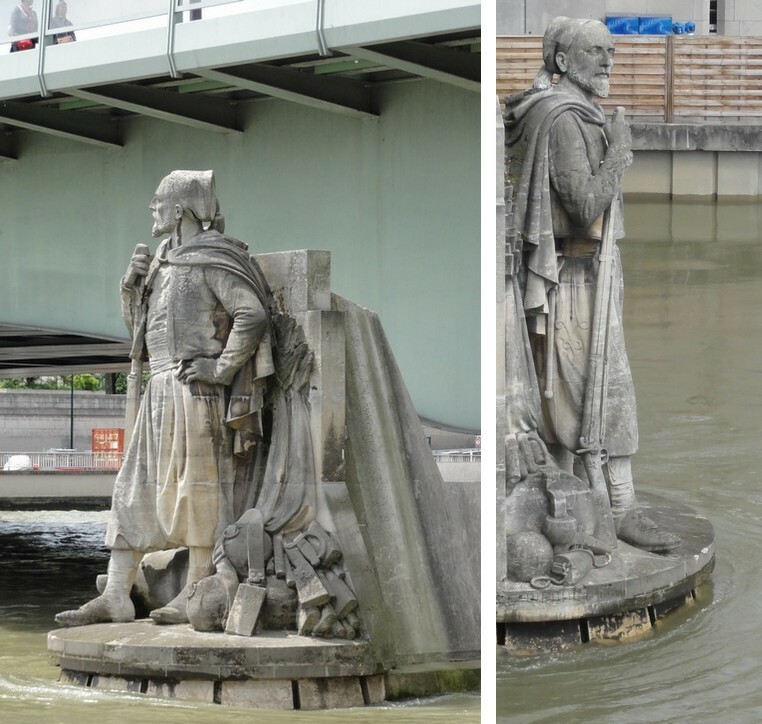 "Zouave du Pont de l'Alma"